If you ask anyone who ever met Pheonix, the first thing they will talk about is his smile. His smile truly warmed hearts with its honesty and you could not help smiling back. 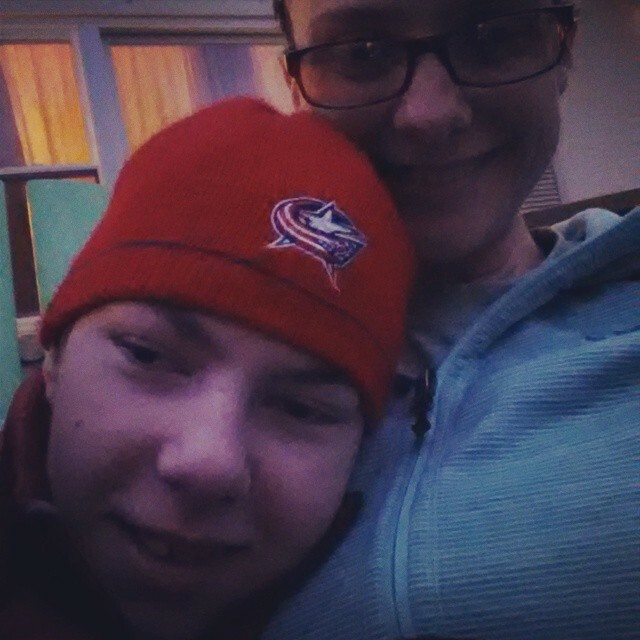 Even on your toughest day, if he was smiling, so were you. He had so many reasons not to smile. 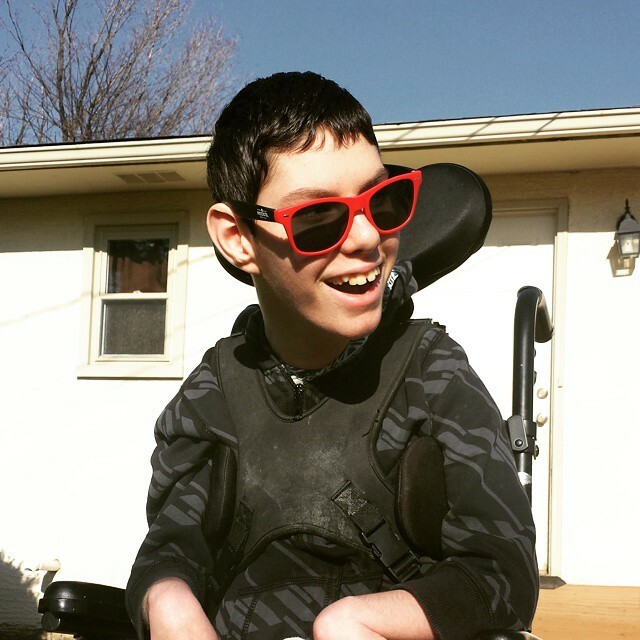 His body didn’t work like all of the people around him, he couldn’t talk like everyone else, and life moved around him while he was limited to a wheelchair. Why was he so happy when there are so many people in this world spending their time angry about what they are given? He smiled because he could and because he loved who he was. Pheonix’s name and unusual spelling came from the word phenomenal and the legend of the phoenix. He was truly unique in his abilities and amazing in the strength of his spirit to be part of this world. Pheonix found “his” way of doing everything he observed going on around him. His doctor’s originally believed that he had limited eyesight and difficulty hearing. I remember a doctor ringing a bell near his ear to see if he would turn to respond to the sound. He didn’t; so they recommended him for further testing. After he passed the test with flying colors, the doctor seemed perplexed that he didn’t respond to the bell. I asked her if you had to put effort into every muscle movement, would you turn or would you just listen? He smiled at me and then at the doctor. We joked that if his name had not been Pheonix, it would have been Hawk because he never missed a thing going on around him. His doctors changed his assessment from quad spastic cerebral palsy with mental retardation and absence to alert, aware, and cognitive. He even learned to use the spastic nature of his muscles to his advantage. He had 4 major surgeries by the age of 3. He would have 4 more surgeries in his lifetime not to mention the numerous procedures and tests. He saw countless specialists, therapists, and took several medications. Yet still he smiled. I thought at first this was the euphoric state that had been mentioned in his early months, but I realized quickly that he was just a charmer. He could turn off the smile and get serious if he wanted to be a little rotten or bossy. 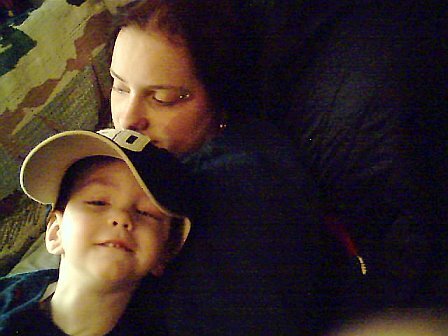 He played coy on many occasions to get what he wanted or would pretend to be asleep so he wouldn’t have to get up for preschool or a doctor’s appointment. As soon as that bus rolled by, Pheonix was awake and ready for playing. He knew I wouldn’t wake him if he was finally resting because often the tone in his body made it difficult to sleep. I caught on quickly, but was so proud that he was able to think for himself and act on his desires, that I may have let him get away with a few things. Quite possibly more than a few. A nurse drawing blood for tests commented that she had never met a kid who so actively watched what was going on, didn’t cry, and smiled after the process was over. I told her that as long as he had a pretty nurse in front of him, he had a reason to smile. He laughed and smiled his giant, ornery grin. Pheonix accepted early on that going to the hospital meant that someone was going to help him. He was not always the most patient in the waiting room, but as soon as he saw his doctors, he flashed them that sweet smile. I got the dirty “how could you bring me here” looks, but the hospital staff got the charm. In the last year, he would carry on, unconsoled, until we asked him if he wanted to go to the hospital. He immediately calmed down and waited patiently in the emergency room and through hours of tests while the doctors tried to figure out what was causing his distress. The above pictures are examples of his strength and the light that illuminated our lives even on the toughest days. 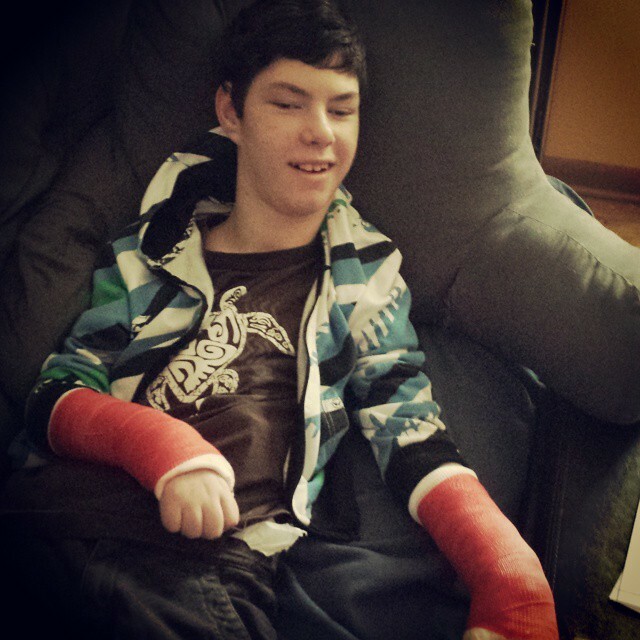 The first picture was after having to do a cast series to help extend the muscles in his wrists. We joked that we wanted the opposite of his favorite movie Rookie of the Year. The second picture was after a long day in the emergency room trying to figure out why he was having pain episodes and more frequent seizures. He wanted to sit outside to greet the trick-or-treaters per tradition. The third is after he was finally able to get his hair cut after it had been unevenly shaved due to his most recent neurosurgery. He was all about his style. The fourth picture was 6 months later after another neurosurgery because scar tissue in his abdomen would not allow the shunt to drain properly. He was so happy to be home playing in the yard. 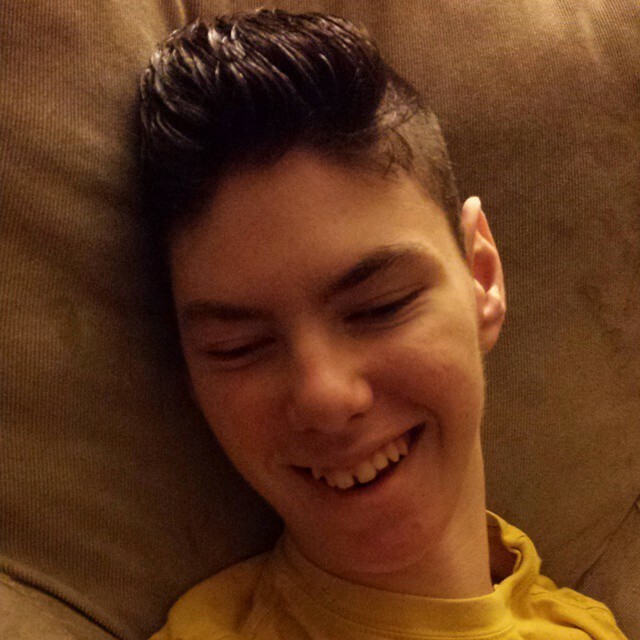 Even when Pheonix’s health started to decline because the physical and hormonal changes related to being a teenager caused him to have frequent seizures, he would open his eyes through the increased medications and smile at us. We knew those smiles were just for us because he knew we needed them. He spent all of his life giving the gift of his smile to others. It is believed that the “length” of your life is measured on how many lives you have touched and how many people you made happy. In that measure, Pheonix lived a long, beautiful life full of laughter, smiles, and adventure. When the day feels difficult without his presence, I think of his smile and I know that he is with me. So touchy, Pheonix he will live in your life forever.